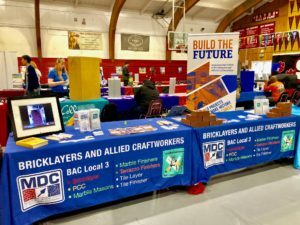 Bricklayers, Tilesetters and Allied Craftworkers Local 3 Union provides training, representation, promotion of our contractors, solidarity and respect to our craftworkers. We represent the oldest craft in the world and use basically the same techniques and tools as Masons and Tilesetters used 5000 years ago. We are some of the hardest workers society has to offer. BAC Local 3 represents Bricklayers/Stonemasons, Tile Layers and Finishers, Restoration Masons and Caulkers, Marble Masons and Finishers, Terrazzo Mechanics and Finishers, and Refractory Bricklayers who work various aspects of the industry in the Northern 46 counties of California. The BAC is the oldest continuously serving International Union in North America. Year 2015 marked the 150th anniversary of the founding of our great International Union of Bricklayers and Allied Craftworkers since 1865.